UPDATE: The House Oversight Committee has sent a bipartisan letter to the White House, alleging Special Counselor Kellyanne Conway violated federal ethics laws. The Committee has asked the U.S. Office of Government Ethics to investigate. During an interview with Fox and Friends Thursday morning, White House Special Counselor Kellyanne Conway urged viewers to "go buy Ivanka's stuff," adding "I'm giving a free commercial, go buy it online" in response to Nordstrom dropping Ivanka Trump's clothing line in stores. The comments from the President, but particularly from Conway, prompted immediate backlash from lawmakers on both sides of the political aisle and are considered a serious crossing of ethical lines. Further, Conway's comments may have broken federal ethics laws. At the time, Ms. Conway unquestionably was acting in her official capacity. She was introduced as the "special counselor to the President of the United States, Kellyanne Conway, who joins us today from the briefing room," and the White House seal is visible behind her during the interview. Federal ethics regulations concerning the "use of office for private gain" clearly prohibit any employee from endorsing "any product, service or enterprise." Specifically, the regulations provide that "[a]n employee shall not sue or permit the use of [her] Government position or title or any authority associated with [her] public office to endorse any product, service or enterprise" except in circumstances clearly inapplicable here. In fact, one example provided in the regulations states that a government employee "may not appear in a television commercial in which she endorses" a product. By explicitly endorsing Ms. Trump's products, Ms. Conway appears to have violated these regulations. White House Press Secretary Sean Spicer said Conway has since be counseled on the issue, but wouldn't go into further deal during the daily press briefing. 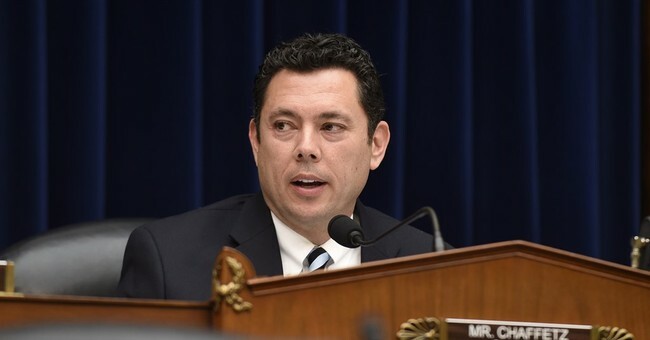 House Oversight and Government Reform Committee Chairman Jason Chaffetz is calling the comments unacceptable.